One of Hollywood’s Leading Directors Made a Documentary about a WW2 Fighter Aircraft. But the Air Force Refused to Release It. They’re furious with Trump and showing it. The reason the old Hollywood spectaculars declined. Review of Brian J. Snee's "Lincoln Before Lincoln: Early Cinematic Adaptations of the Life of America’s Greatest President "
There's Spielberg's Lincoln and then there's all the rest. His featured the Great Emancipator. The others mostly focused on Lincoln's role as the savior of the Union. This week ... Samantha Bee on Black History Month, CNN series on past campaigns, Clarence Thomas movie, documentary about the last man on the moon, and more. This week ... Spielberg, Van Gogh, Trumbo, the movie "Race" and more. Unpublished documents in the Margaret Herrick Library (the Oscars archive) reveal Peck’s personal opposition to racism, long before Harper Lee even wrote “Mockingbird.” The young actor attacked bigotry against both blacks and Jews. For most of its history, Hollywood has worked hard to identify—and undermine—the work of black actors and filmmakers. 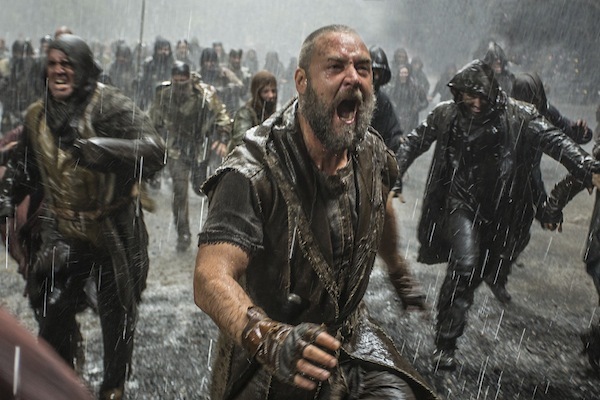 Will "Noah" Help Egypt Separate Church and State? The new Russell Crowe vehicle faces bans across the Middle East and North Africa. Here's why it's an important litmus test for religious freedom in the region. Maximilian Schell Changed the Way We Think About the Holocaust. Really. 1960's "Judgment at Nuremberg," Schell's starmaking role, avoided the redemption so typical of Holocaust movies of that era. History movies are a favorite target for historians, but if they're really so awful, why are they so often screened in the classroom?